It started with an idea. 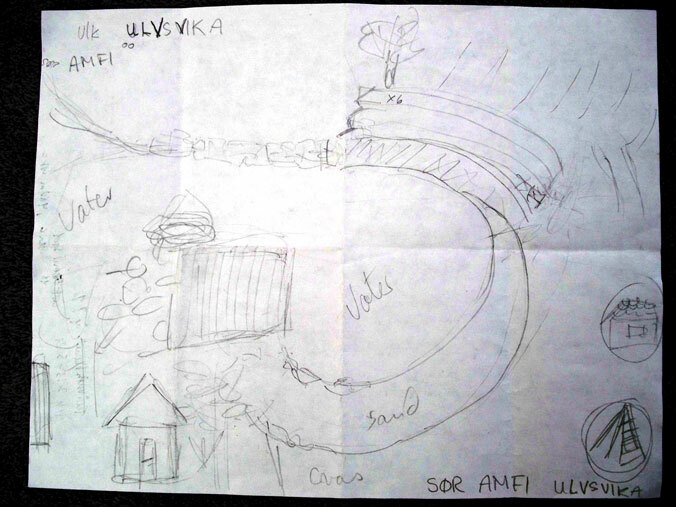 Lill Tony Ramvik asked Tamara Keiper to make some renderings for some outdoor seating to go on a grassy area for outdoor concerts. This painting would be used to solicit funds from other donors and to sell prints to raise funds for the Amfi seating. 2. Some preliminary sketches and some watercolor studies were sent. 4. Upon receipt the word began to spread. 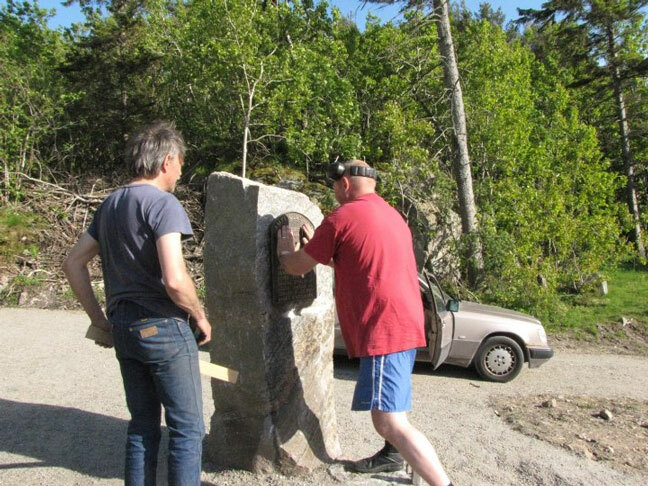 (June 5, 2008 – Lindesnes newspaper). The word was circulated and funds and donations started coming in. 5. Then the hard physical work began. It took about a year to complete by some expert craftsmen. 6. Before the grand opening a plaque was installed displaying the names of those who contributed. 7. 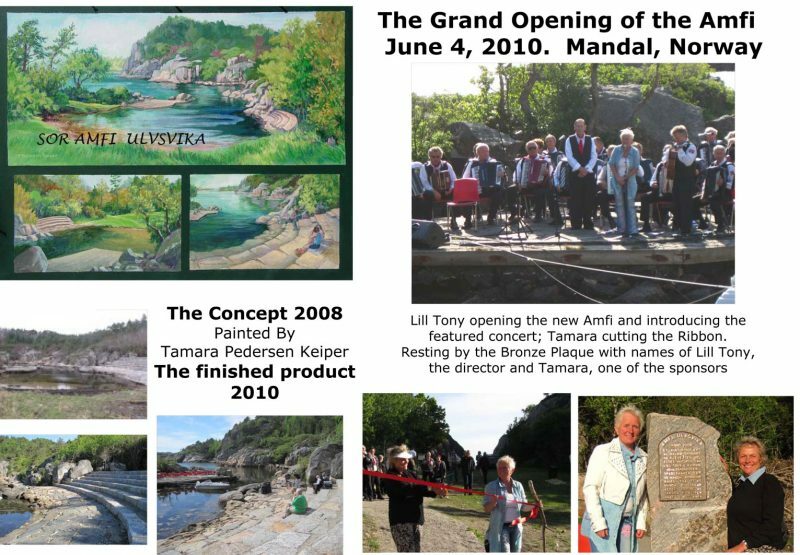 On June 4, 2010, the grand opening featured a visit from the Mayor and a concert by the Lindesnes Trekkspillklubb. The poster displayed Keiper’s name along with the mayor and band.